Else Torp has specialized in performance, of early and new music, but also covers an extensive repertoire of Danish and German Lieder. In the semi-scenic repertoire she has performed Judith Weir's King Harald's Saga at a number of festivals and Walton's Facade. With Theatre of Voices, she has performed a wide range of repertoire in Europe, Australia and the US. 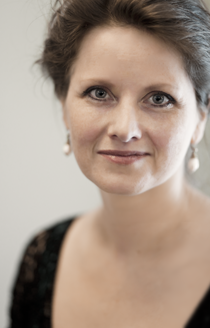 Else Torp has recently been featured with Scotish Chamber Orchestra in Bach's St John's Passion, with the Copenhagen Philharmonic Christmas Oratory and Concerto Copenhagen with The b Minor mass. 2008 included Arvo Pärt's Miserere at the Sonning Prize festival for Pärt in Copenhagen, and performances at BBC Proms, Berliner Festspiele and Sacrum Profanum in Krakow with Theatre of Voices and Stockhausen's Stimmung. She sang Pärt's "Passio" in his official televised estonian 70th birthday concert in 2005, and later performed Nørholm's "The Bell" with the Gulbenkian Orchestra in Lisbon. She has done the first performance of Gavin Bryars' "The Stone Arch" with the Kronos Quartet at the Barbican Centre's Steve Reich 70th birthday celebration festival and the first performance of Liu Sola's "The Afterlife of Li Jiantong" - also at the Barbican and at the Takkelloftet at the Royal Opera in Copenhagen in spring of 2009. Recent CDs: "Cries of London" with Theatre of Voices/Fretwork (Harmonia Mundi), "Weyse Songs" (dacapo), "Stimmung" by Stockhausen and David Lang's "The Little Match Girl Passion" (both Harmonia Mundi).